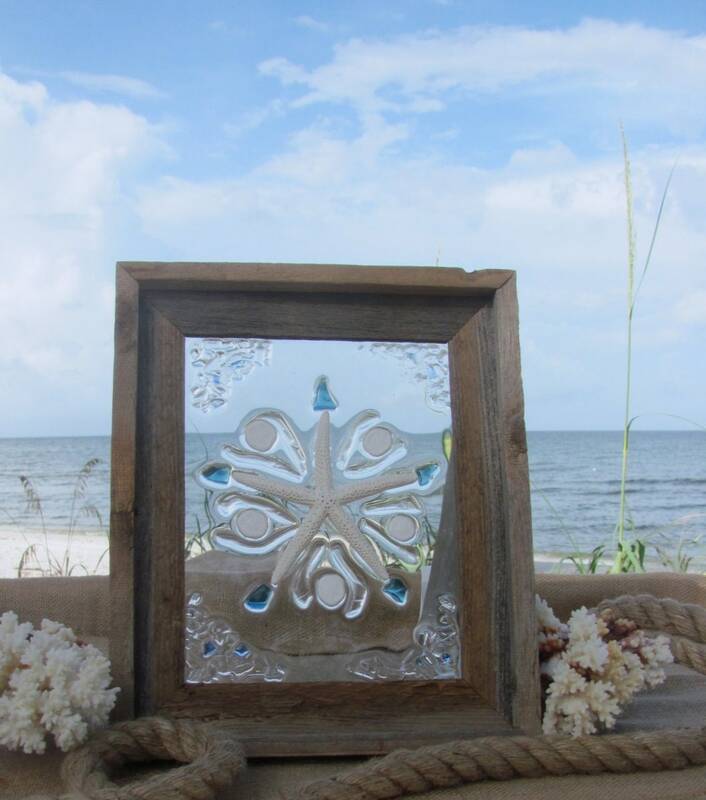 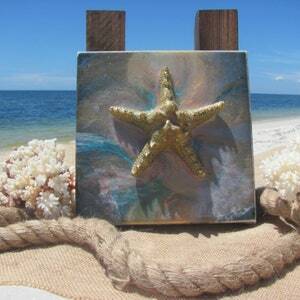 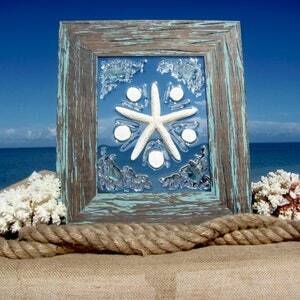 Beach Christmas Decoration, a white starfish surrounded by sea biscuits are featured in this ocean life glass wall or window hanging. 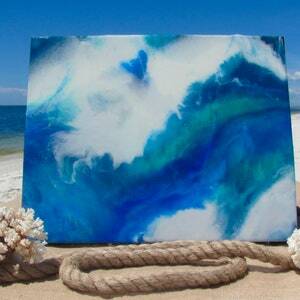 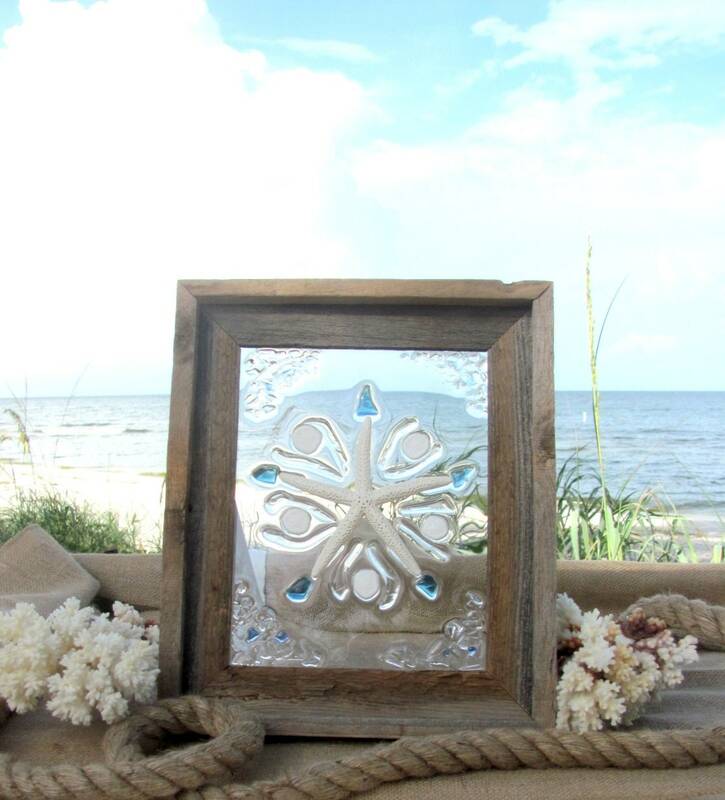 11x13" Framed with hardware included. 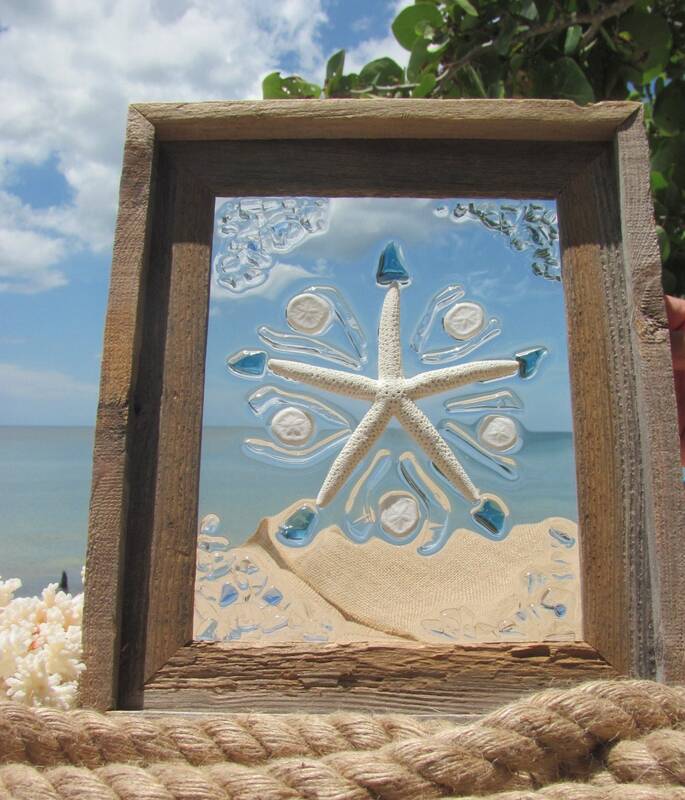 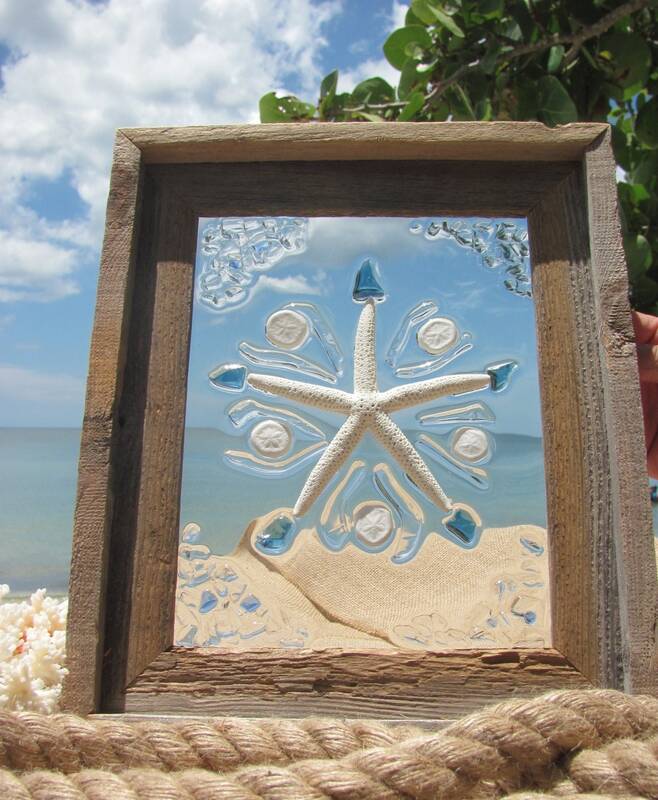 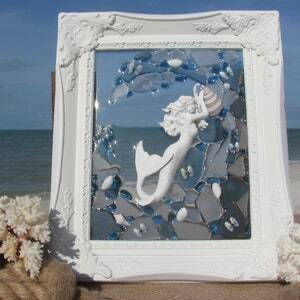 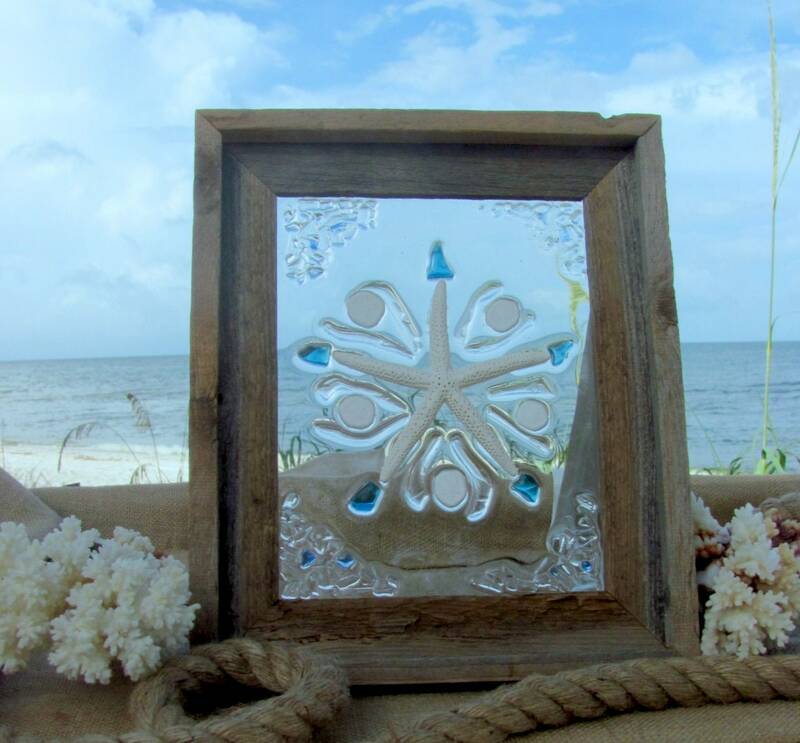 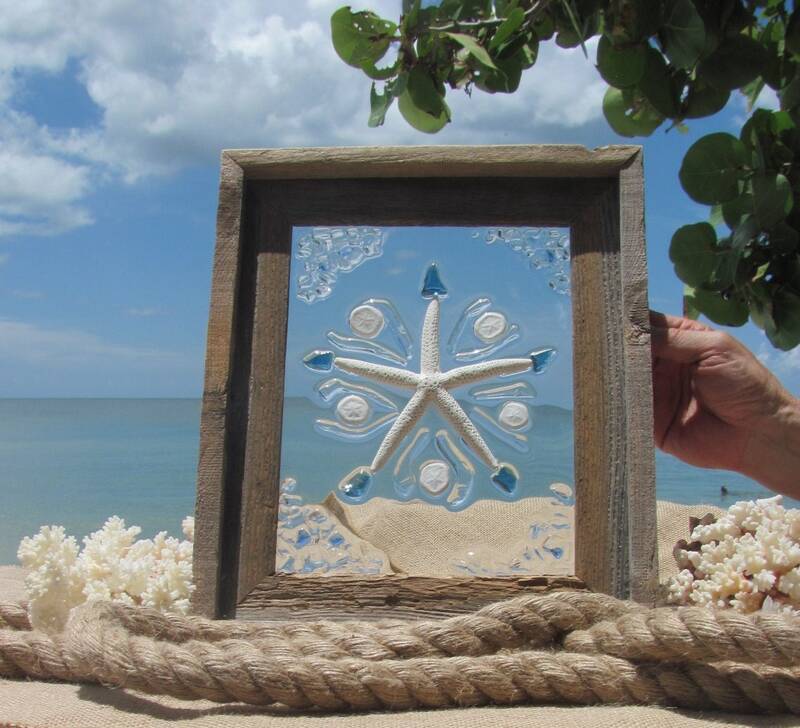 A single white starfish surrounded with beautiful beach glass of shades of ocean blues, and five little sea biscuits, all fused (not glued) onto glass panel.